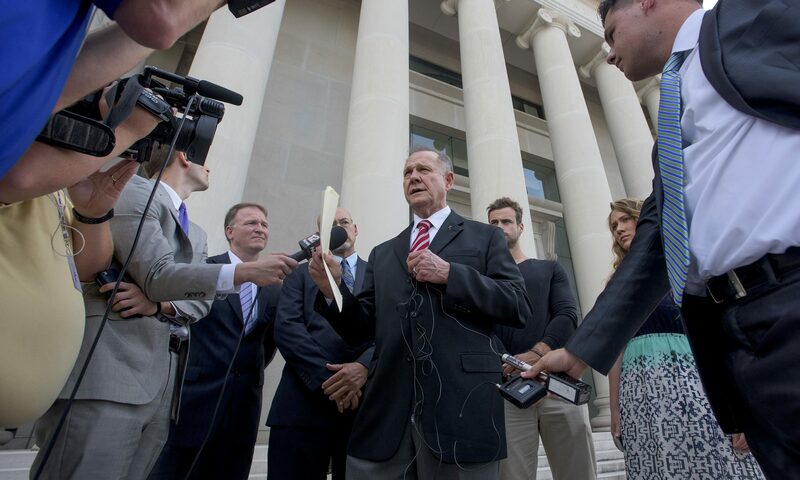 Former Republican Senate candidate Roy Moore said Monday that his rights and the rights of the voters of Alabama to have a fair election were violated by an effort to use social media to influence the campaign. “As a conservative Christian, I was unfairly attacked by a high-tech cyber disinformation campaign in the 2017 race for U. S. Senate that violated not only my rights, but also the right of every Alabama voter to participate in a fair election,” Moore said. Hoffman donated $750,000 to American Engagement Technologies (AET) to defeat Roy Moore. AET created a fake Republican Facebook page urging Republicans and conservatives to write in someone else’s name rather than vote for Moore. The project’s operators used the page in an attempt to divide Republicans. It also reportedly involved a scheme to link Moore’s campaign to thousands of Russian bot accounts that suddenly began following him on Twitter, a development that drew national and local media attention. Hoffman in his apology called for a federal investigation into the operation, which he said he had no knowledge of, even though he paid for it. U.S. Senator Doug Jones, D-Alabama, has said he did not have any knowledge of the effort and has called for an FBI investigation. Moore is unmoved by the apologies and calls for investigations. Alabama Attorney General Steve Marshall (R) said that his office is looking into the possibility that state laws may have been broken by the efforts of the Democratic Party operatives in the 2017 special election. Doug Jones is the only Democratic candidate for any statewide office to win election in the state of Alabama since 2008. This scandal has been exposed by a series of reports by the New York Times.